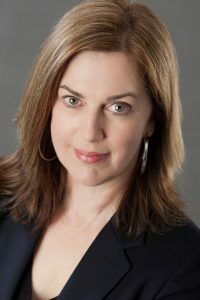 Meg Gardiner is an Edgar Award-winning author who has written 13 previous novels. Her best-known books are the Evan Delaney series. Her previous novel, UNSUB, is a taut and terrifying thriller concerning the hunt for a serial killer. 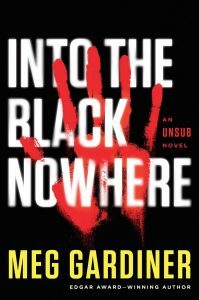 Meg has continued the Unsub series (Unsub meaning Unknown Subject) with Into the Black Nowhere. Into the Black Nowhere features Caitlin Hendrix hunting another Ted Bundy-like serial killer who kidnaps women in southern Texas. He snatches them in plain sight without leaving a trace of evidence. Caitlin must get inside the killer’s mind and determine how he selects his victims, what impels him, and when he will strike again. A desperate game of cat and mouse ensues, and the stakes could not be higher. What makes serial killers so fascinating? We find serial killers fascinating because they hide among us beneath the mask of sanity. They’re unrestrained by every societal or moral notion of holding back their most violent impulses and desires, and we’re intrigued by the question of what turns people into such killers. One reason for this fascination is we want to know how to protect ourselves from them. If we could figure these people out, we could make sure we’re safe. We also want to ensure that we’re not like then; we want to separate ourselves from them, both physically and psychologically. We find them both frightening and intriguing, especially someone like the killer in Into the Black Nowhere who’s charismatic and successful and who, on the surface, is the type of guy many mothers would tell their daughters is a ‘catch.’ And we wonder how someone can wea r this camouflage for decades. Tell us about some of what drives Caitlin Hendrix in her quest to capture the serial killer known as the Ghost. Without her knowing he was present, the Ghost wormed his way into her life in the first book He’s still out there and she’s desperate to catch him. He came out of nowhere and she has no idea what he’s up to—only that he said he’s coming back. What about her personal issues make Caitlin’s quest for the Ghost so compelling? The Ghost damaged her family, the people she loves, in the most terrible ways; so, it’s personal. She sees herself as a hunter who must not only protect her family, but the public as well. ‘Into the Black Nowhere’ details different types of serial killers. Will you tell us a bit about that? Some serial killers regard killing as a mission. Others look at it as ‘playtime,’ while some feel possessed by some dark entity who has murder as a voracious hobby. The FBI has made distinctions between organized and disorganized serial killers. John Douglas and Ann Burgess wrote books on the subject. They tried to understand the psychology of serial killers. They distinguished between organized killers who plan things out, trying to hide their identities, from disorganized killers who have obvious psychiatric problems and strike out with a blitz attack, not bothering to hide the bodies, while leaving a great deal of evidence because they were overcome by a compellingly powerful urge or delusion to kill. Recently, it’s been understood that these killers fall into a continuum of behaviors; and there’s not a clear-cut distinction between organized and disorganized killers. I attended several all-day seminars the FBI gives for writers at their New York headquarters. They gave me an amazing level of insight into the work they do. I read the FBI Crime Classification Manual as well as numerous books written by former agents. It’s amazing to learn about the lives these people have led, especially the women agents. ‘Into the Black Nowhere’ is the second book in the Unsub series. What made you decide to write about serial killers and the FBI? As we discussed, we’re all fascinated by serial killers. They’re modern-day monsters who seep through the cracks. I think we also want to read about the people who are willing to try to track them down. As for Caitlin, her life has been warped by the fact that her dad hunted a serial killer; that opened her eyes to that world. How much of Meg Gardiner is part of Caitlin Hendrix? Her snarky sense of humor; [Laughter] and we both spent time running hundreds of miles in the Bay Area of northern California. Of course, there’s a connection between Caitlin and me, but I’ve worked to make Caitlin her own woman. I don’t give her the same likes or dislikes I have. If I’m afraid of something, I make her excited by it. Whatever I love, I make her hate. I disguise her as best I can. [More laughter]. My first series character was Evan Delaney, a lawyer, as am I. Caitlin is the first cop I’ve written as the heroine of a story. I sort of felt like Caitlin’s big sister as I was writing about her. I’m a little bit protective of her but want the reader to understand what makes her tick. The Unsub series will be a CBS-TV series. Will you be participating in writing for the series? I hope so. Now, I’m working behind the scenes consulting with the screenwriter, Liz Friedman, who is extremely accomplished. The third book in the Unsub series. It’s tentatively called The Dark Corner of the Night.